The laws about shaving in Judaism are diverse and detailed and different communities observe different customs. But are Jewish men required to have beards? You shall not round the corners of your head, neither shall you mar the corners of your beard (19:27). Neither shall [the priests] shave their heads, nor suffer their locks to grow long; they shall only poll their heads. Prohibitions against shaving likely stem from the fact that in Biblical times, shaving or shaping facial hair was a pagan practice. Maimonides said that cutting the “corners of the beard” was an idolatrous custom (Moreh 3:37), as it is believed that the Hittites, Elamites, and Sumerians were clean-shaven. The Egyptians also are depicted as having very cleanly cut, elongated goatees. In addition to the source of this prohibition, there is Deuteronomy 22:5, which forbids men and women to dress in the clothing and practice the customs of the opposite gender. The Talmud later took this verse to include the beard as a symbol of a man’s maturity, and the Tzemach Tzedek later argued that shaving violated these gender prohibitions. In Shulchan Aruch 182 this prohibition is understood to say that men shouldn’t remove hair from areas where a woman traditionally would (e.g., under the arms). However, in the books of Amos (8:9-10), Isaiah (22:12), and Micah (1:16) God instructs the mourning Israelites to shave their heads, which is contrary to modern mourning practices of not shaving. [God] told you to shave your heads in sorrow for your sins (Isaiah 22:12). There are other mentions of the requirement to shave the beard and hair completely in specific instances of tzara’at (Leviticus 14:9) and for the Nazarite to shave his head for seven days following his contact with a corpse (Numbers 6:9). The halacha (Jewish law) that a man is forbidden from shaving the “corners of the head” refers to shaving his hair at the temples so that the hairline is a straight line from behind the ears to the forehead, and this is where payot or payos (side curls) come from (Babylonian Talmud, Makot 20b). Within the prohibition of shaving the “corners of the beard,” there is a complicated understanding that evolved into five points (Shebu'ot 3b and Makkot 20a, b). These five points could be on the cheek near the temples, the point of the chin, and a point at the end of the cheekbone near the center of the face or it may be that there are two points on the mustache area, two on the cheek, and one at the point of the chin. There is plenty of disagreement about the specifics, so the Shulchan Aruch prohibits the shaving of the entire beard and mustache. Ultimately, using a razor is prohibited (Makot 20a). This derives from the Hebrew word gelach used in Leviticus that refers to a blade against the skin. The rabbis of the Talmud understood then that the prohibition is only to a blade and only to hair being cut closely and smoothly to the roots (Makkot 3:5 and Sifra on Kedoshim 6). A man can trim his beard with scissors or an electric razor with two cutting edges because there is no concern about the cutting action being in direct contact with the skin. The reasoning behind this is that the two blades of scissors do the cutting without contact with the skin (Shulchan Arukh, Yoreh De'ah, 181). Rabbi Moshe Feinstein, a 20th-century halachic authority, said that electric razors are permitted because they cut the hair by trapping it between several blades and grinding the hair. He did, however, forbid electric shavers whose blades are too sharp. According to many modern rabbis, most electric shavers have such sharp blades that they are considered problematic and often prohibited. Most Orthodox rabbinic authorities continue to prohibit electric “lift-and-cut” razors because they are believed to work too much like traditional razors and thus are forbidden. There is a way to make these types of razors “kosher” by removing the lifts, according to koshershaver.org. There are allowances for trimming and shaving the mustache if it is going to interfere with eating, although most Orthodox Jews will use an electric shaver to do so. Likewise, a man is permitted to shave the back of the neck, even with a razor. These laws do not apply to women, even in regards to facial hair. According to Kabbalah (a form of Jewish mysticism), a man’s beard represents unique, mystical powers. It symbolizes both God’s mercy and the creation of the world as divinely inspired by God. Isaac Luria, a practitioner, and teacher of Kabbalah, was said to see such power in the beard that he avoided touching his beard, lest he causes any hairs to fall out (Shulchan Aruch 182). Because Chasidic Jews hold closely to Kabbalah, it is one of the largest groups of Jews that strictly follow the halachot (laws) of not shaving. The practice of growing out the beard and not shaving is widely practiced by the Chasidim that have origins in Eastern Europe. The rabbis of Eastern Europe understood the mitzvah of growing a beard to actually be a prohibition of shaving one’s face. While a 1408 Spanish law forbade Jews from growing beards, by the end of the 1600s in Germany and Italy Jews were removing their beards by using pumice stones and chemical depilatories (a shaving powder or cream). These methods left the face smooth, giving the impression of having shaved and would not have been prohibited because they did not employ the use of a razor. Throughout the Middle Ages, customs surrounding beard growth varied, with Jews in Muslim nations growing their beards out and those living in countries like Germany and France removing their beards. 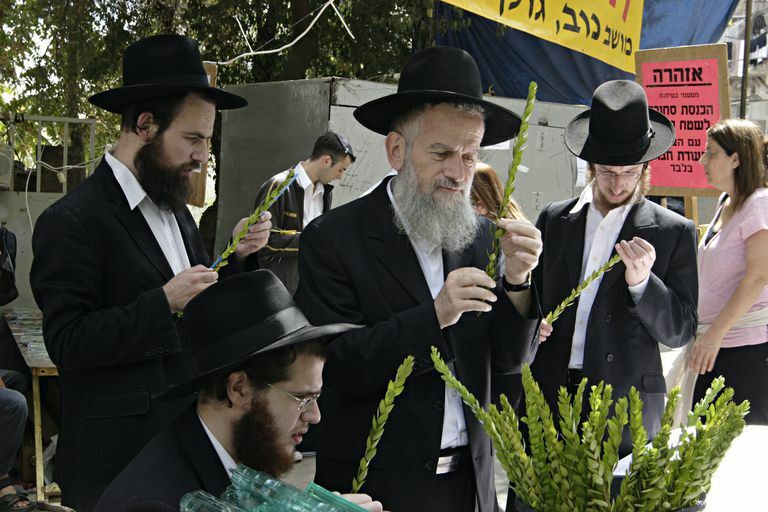 Today, although the practice of not shaving is widely observed in the Chasidic and ultra-Orthodox communities, many Jews do not shave during the three weeks of mourning leading up to Tisha b’Av and during the counting of the Omer (sefirah). Likewise, a Jewish mourner does not shave or get a haircut for the 30-day period of mourning after the death of an immediate relative.